I’m Ryan Sorley, Founder of DoubleCheck Research. I recently had the opportunity to sit down with venture capital firm OpenView, and one of their portfolio companies SmashFlyto discuss how they use Win/Loss Analysis to improve their decision making. It’s fair to say most organizations have an anecdotal, or very cursory, understanding of what their competitors do for the most part. Public information through press releases, social media, or general marketing efforts is readily available. However, determining how to position your business against competitors can be pretty difficult, and very generic. The answer was “yes” from sales, but the reality was that most of that was done through self reporting by the sales reps, which can be very light on detail. A deal may be marked as a closed loss to a competitor, but there wasn’t much context surrounding why the deal was lost. From win/loss analysis you can expect competitive intelligence, understanding who you go up against, why you win, why you lose, and what resonates with a prospect in a particular deal against a particular competitor. When done correctly, and with purpose, a win/loss program can help align your sales and marketing strategies with your prospective buyers. Perception may be part of the problem. A lot of companies have the belief that they understand their customers really well, especially when the leadership team has been involved in the selling process. As they move from being the ones selling to having more of a broad-based sales team and getting less direct intelligence, there is sometimes a disconnect between what they know, and what they think they know. They’re just not sure how much new information they’re going to learn from win/loss research, because they perceive that they have a really close relationship with the customer. Most of the win/loss data and programs that OpenView has run have been done by their internal team. They don’t push their portfolio companies towards win/loss research because it’s good for them as the investor. Their goal is to show their portfolio company the data so that they can make the right decision to benefit the company, which is ultimately good for everyone involved. OpenView is a minority investor, and as Ricky Pelletier said, “There are reasons why we have a lot of faith and excitement about a company. Whenever we do loss reviews, and identify painful information, the mindset is not to attack the company, or talk about all the things they’re doing wrong. We’re still really bullish about the prospects, and there’s a reason why we made a bet on that company.” When any areas of improvement are found, it is tempered with the fact that OpenView has made a commitment and is excited about the investment. With close relationships between OpenView and their portfolio companies, there couldn’t be better alignment behind getting the right answer. OpenView operates something like an outsource agency, or a consultancy, for win/loss analysis. It’s offered when value is recognized by both OpenView and the portfolio company. Give win/loss priority. Delegate resources to ensure success. Act on the input. Recognize that success doesn’t happen overnight. Your customers and your prospects are some of the most valuable data sources that you have. You want to be very careful with how you use that, and how you treat those relationships. I started my professional career as a product manager. Well, I tried to start my career by doing a Master’s in Computer Science in college, which taught me I wasn’t smart enough to be a developer, but maybe I could hang with them. Over the years, I moved up from Product Manager to “Manager of Product Management” (still a bizarre title to me!) and so on. That was my career trajectory, and I couldn’t have been happier. It checked all the boxes for me—strategic thinking, working collaboratively, creativity, working with sales, and above all a total focus on giving the customer a great experience. Not to mention lots of PowerPoint! When I left the world of product management to become a CEO, Customer Success was barely a gleam in my colleague Dan Steinman’s eye! But when I look back on it, I can see how it was preparing me for this crazy world of CS, and how the skills I honed in PM are so complementary to my job today. For the last six years, we’ve been on a mission here at Gainsight to spread the word about Customer Success as the only way to drive sustainable growth in subscription businesses. Obviously, you can’t have a business without a product (and therefore a Product Management Team), and likewise, you can’t maintain a customer base without Customer Success. In the first act of our story, we tried to shine a light on the Customer Success Management (CSM) organization. We evangelized the value of a CSM team, we educated tens of thousands of people in the tricks of the trade, and built a worldwide network to help plug the right leaders into the right roles—all of which has led to CSM being recognized by LinkedIn as one of the top emerging professions in the U.S. However, pretty soon it became clear: a lot of companies were building out a small, siloed CSM team to “own” Customer Success, but weren’t able to scale. We knew Customer Success needed to be bigger than any one team (as we say at Gainsight, CS > CSM). It’s a priority that needs to be woven into the fabric of the entire company—every department, every team. And the reason why is simple: to the customer, you’re all one company. The client doesn’t need to understand the differences between Sales and Support and Service and CSM and Marketing. 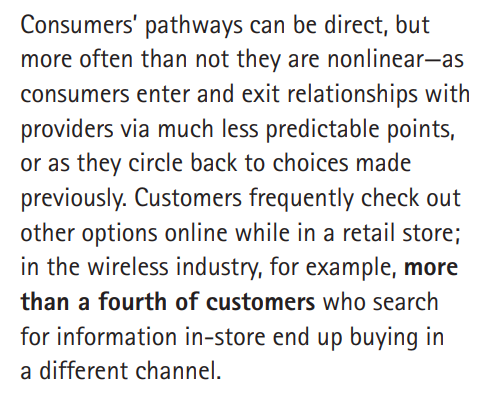 Therefore your customer interactions need to be just as seamless. And so the second act of the Gainsight story was taking Customer Success out of that siloed CSM role and taking it across the company. But as I spoke to people in the Customer Success community—as well as the CEOs of thousands of subscription businesses—I heard time and time again that one organization was missing from the conversation: Product. That resonated, because, as an ex-Product Manager, I saw how organically the two disciplines fit together. And in the “Age of the Customer” more than ever, most customers’ primary interaction with their vendors aren’t necessarily through their people, but rather through their products. That’s why for our third act—simpatico to the third act of the Customer Success movement, we’re so fired up to announce that Gainsight has entered into a definitive agreement to acquire Aptrinsic, the first product-led growth platform. You can read more about the acquisition here. Here’s some conventional wisdom that’s at least as old as the mercantile system: if you want to achieve growth, invest in Sales and Marketing; acquire new customers. And in today’s economy, according to Gartner, 57 percent of the purchase decision is complete before a customer even calls a supplier. With that being the case, it was inevitable that Sales and Marketing platforms (think Salesforce and ExactTarget, Oracle and Eloqua, and so on) would come together to optimize growth through new customer acquisition. It made a ton of sense. Sales teams wanted to understand prospect behavior, scale their engagements via marketing nurture, and influence marketing priorities. Marketing was interested in driving lead volume, learning from prospects, and iterating on campaigns quickly. But in the Age of the Customer, CS teams have joined the ranks of Sales and Marketing in driving business growth by focusing on customer retention—more specifically, impact to net retention as a function of growth. However, for all of us who are building digital products and services, so many invaluable customer insights and personalized engagements are happening within the product itself. The analogy of Sales and Marketing alignment extends now to Customer Success and Product teams, who together are on the hook to deliver experiences and outcomes to both keep and grow customers. The same consolidation of Sales and Marketing platforms has yet to happen with Customer Success and Product technology—until now. We’re convinced that by partnering with Aptrinsic, we can usher in a new era of growth for subscription businesses with Customer Success and Product teams at its heart. Analyze the behavior of users in your product in terms of feature adoption, navigation, and retention. Guide users to onboard and use new features through in-app engagements. Solicit feedback from users in the product. From both a CS and a PM perspective, we want you to be able to drive great outcomes and experiences whether inside or outside the product, whether delivered through automated digital outreach or human interactions (or a mix of both). And now, Gainsight is the only solution that enables companies to take full advantage of the shift to both digital and subscription, by providing Customer Success and Product teams everything they need to drive growth. To fill you in on all the details, I filmed a video with Aptrinsic CEO Mickey Alon and our very own Chief Operating Officer, Allison Pickens. Read Allison Pickens’ blog post on what this means for the Customer Success world. Developing messaging for professional services or software platforms often creates the “paradox of choice” for product marketers – the technical team or consultants explain they can “deliver anything the client wants” and with pride they list just short of about 5 million capabilities of skills and technology they have interacted with. The paradox? There are so many options, product marketers are not sure what choice to make. The truth is that comprehensively describing in depth all possible product and service capabilities is the weakest way to generate interest from new prospects, and it’s not just because of “information overload.” The reality is that technology buyer behavior has been changing dramatically over the last two years. Business buyers drive the majority of IT purchases, even if funded out of IT. As digital business becomes mainstream, CIOs are prioritizing business outcomes over technical service delivery. As shown in the Gartner 2018 CIO Agenda research, CIO priorities for 2018 focus on business metrics, from controlling costs and streamlining processes to driving revenue growth by exploiting data. For these and many other reasons, we are advising technology and service providers to lead their customer acquisition efforts with messaging focused on the business outcomes and value your offerings enable instead of the long list features, functions or capabilities available in your offerings. Don’t worry, there will always be time later in the sales cycle to get technical. But first, you need to inspire an opportunity with a hint of the business results that your offerings can deliver. How can you refocus your technical messaging on business outcomes? Start by researching the business outcomes of your own reference customers to capture insight. This can be done simply by interviewing reference customers, salespeople, or frontline customer service employees to learn what resonates with your ideal customers. Sure they wanted new functionality, but what is the real reason they paid money for your solution (in one sentence or less)? How did they justify the investment to their CFO? This is the key to the customer insight that will inspire future projects and engagement in new logo customers. 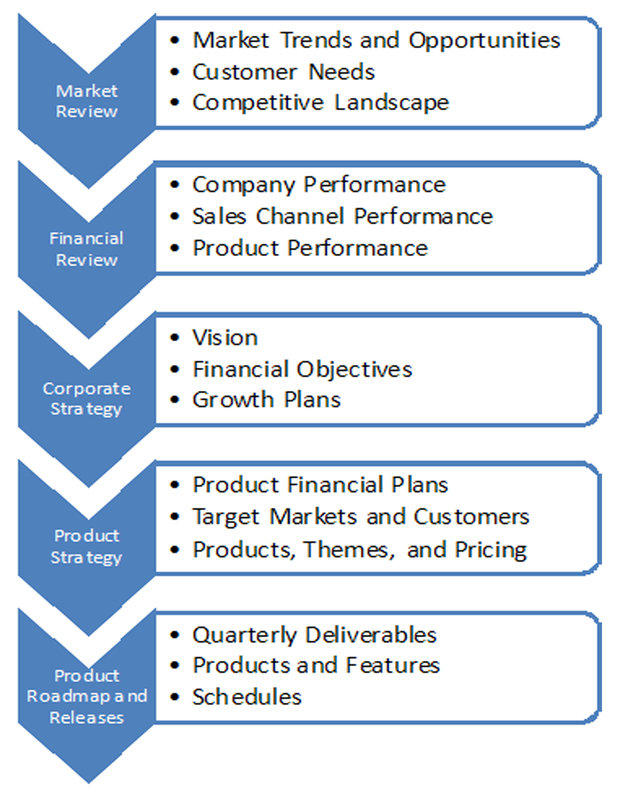 Most marketing and sales professionals are familiar with the concept of the buyer’s journey map. It’s a visual tool that helps align your organization’s marketing and sales tactics to the needs of your target buyers as they go through the process of selecting and purchasing a service or product. Most buyer journey maps include the following six stages: identify need, determine solution, explore options, select vendor, justify internally and make purchase. This model has worked adequately for many decades, but lately I find it lacking. This buying model has failed to keep up with changes in the market; specifically, the advent of software as a service (SaaS). Intended to transform how organizations deploy and pay for software, SaaS also has profoundly affected how customers go through the buying process. Buying enterprise software used to be an onerous undertaking that involved six to 10 months of requirements gathering, business case development, discovery, vendor evaluations and demos. It also entailed negotiations with IT and procurement and budgeting for the capital expenditures needed to acquire hundreds of thousands of dollars’ worth of required hardware and licenses. Several more months of deployment, customization, testing and training followed. During much of this process, customers had to commit key stakeholders to the buying process and deal with the resulting business disruption. Vendors also had to contribute considerable time and efforts from their account teams, professional services and training staff. This still happens with large enterprise software deployments, but much of today’s business software buying has transitioned to SaaS and other subscription licensing models. This shift impacts both customers and vendors. SaaS pricing and delivery make it easier for customers to invest in and—unfortunately for software vendors—divest from new software solutions. The SaaS deployment model reduces the post-sale touch points with the vendor, for better or for worse. SaaS has altered customer behaviors and expectations, even with non-SaaS products. Although SaaS often costs more in the long run, buyers like it because it simplifies their lives. Vendors like SaaS because revenue is more predictable and often requires less involvement of professional services, which can be hard to estimate and staff. It sounds great to have this perpetual subscription revenue, but there is a flip side: The buying process is never really over. With every subscription payment, customers have an opportunity to reflect on the value the software provides, then compare it to the cost they are paying. The perpetual pricing model places the burden of ROI on the customer after the purchase; SaaS pricing effectively shifts it to the vendor. This is a fundamental shift in the dynamics of value generation. With perpetual licensing, buyers staked their professional reputations—and sometimes their jobs—on significant investments of time and budget to acquire a technology solution. After the purchase, customers were responsible for ensuring the investment paid off. With SaaS, a customer’s up-front investment is considerably lighter. Given the lower up-front investment of time and budget, the incentive to stick with a product is also lower. If a customer fails to see rapid value from your product, they are likely to move on to one of your competitors. It’s often easier for customers to try a new product than to work with an existing vendor to ensure that the product works the way they need it to. I have witnessed many organizations sign on with a SaaS vendor only to drop them several months later and try another. From the customer’s perspective, signing a SaaS contract doesn’t necessarily mean the end of the buying process. 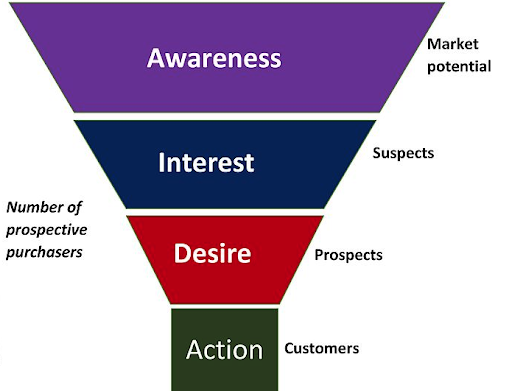 In fact (and this is where the floor drops away), while your sales team is ringing the gong and marketing celebrates another pipeline goal attainment, your customer may still be in an extended stage 3: exploring their options. Most marketing teams disengage from the customer’s journey at the point of purchase, just as the customer embarks on the most important stage of the whole experience: building business value from the product we sold them. customer stakeholders. But what about the decision makers we’ve catered to throughout the buying process? What happened to the strategic visions we painted for them? The industry insights we shared? Why should the story end here? The customer’s journey does not end with the purchase, and we have SaaS to thank for making this painfully obvious. Marketers must extend the journey map beyond the purchase, continuing to support buyers as they derive business value from your product. 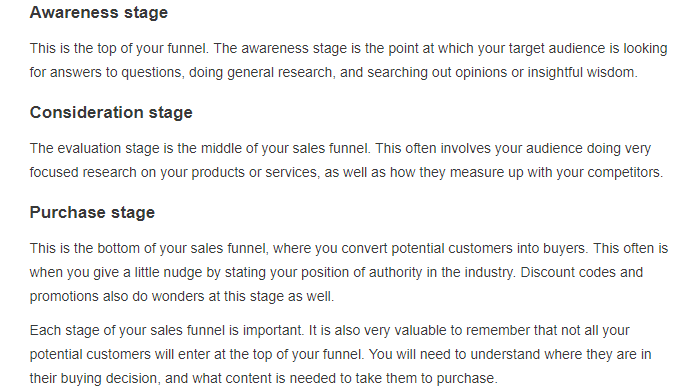 To that end, updated buyer journey maps should include a seventh stage: derive value. Any organization that wants customers to succeed (and remain customers) needs to reassess the effort and focus they dedicate to this seventh stage. While many technology vendors promise to be their customers’ partner for success, few have actual programs to back it up, and fewer still engage product marketing—the authority on buyers and technology solutions— to help drive this effort. Customer retention is not the refunds department. Sales and marketing professionals are acutely aware that it costs more to acquire a new customer than to keep an existing one, yet many organizations still view retention as a reactive measure used to salvage unhappy customers. Instead, customer retention should be a strategic marketing function to match demand-gen. Customer retention should work closely with product marketing, campaigns, sales and services groups to develop programs and touch points that actively help customers reach their business objectives and move forward. Don’t stop being strategic after your prospect becomes a customer. Many organizations shift to end-user marketing after the purchase (“here is our feature-of-the-week email campaign”). Facilitating end-user adoption is important, but not at the cost of ignoring decision-makers. After the go- live, your target buyers are still there, evaluating your product for success. Are you confident they will still believe they picked the right vendor when they pay your next invoice? It’s important to stay engaged in their efforts and continue to add value and inspire them. For example, developing and sharing a maturity model can help position your products alongside their long-term strategic business objectives and establish a framework for partnership going forward. Think of it as a buying cycle within the buying cycle. Many organizations “buy to try” SaaS solutions and look for rapid proof of value as an indicator of success. Think of it as an early proof of concept at stage 3. If your organization can proactively take on some of that burden of proof, you stand a better chance of turning stage 3 into stage 7. Celebrate the contract. It’s a big deal to sign a paying customer, and a lot of people work hard to make it happen. But for customers, the purchase is just the beginning, and your team should view it as a milestone for your marketing strategy, not the end goal. We live in an era of seemingly endless options. Consider how many times you have downloaded a new app on your phone, tried it for a few minutes and then promptly uninstalled it when you realized it did not meet your needs. Today’s B2B buyers have a similar mindset. If you fail to help buyers actualize the value of your product after purchase, it won’t take them long to start looking at the next vendor.